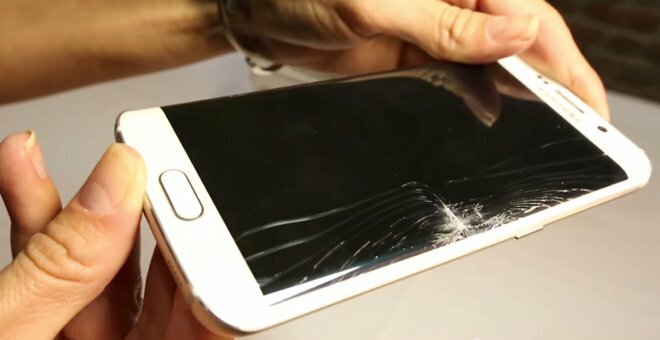 Both the Galaxy S6 Edge and iPhone 6 Plus bent at approximately 110 pounds of pressure, according to tests performed by third-party warranty firm SquareTrade. Unlike the iPhone —which merely bent —the S6 Edge suffered a cracked screen as well. This puts Samsung in a potentially embarrassing situation. The company was one of many that piled on Apple after stories of bent iPhone 6 Plus units began to surface last year. and now finds itself in the same unwanted spotlight. SquareTrade also tested HTC's new One M9, which bent —and broke completely —at 120 pounds of pressure. SquareTrade said that while these results may not constitute "Bendgate 2," they could be even worse for Samsung fans than Apple's own PR issues of last year. "Because instead of a bent phone, they may have a pocket full of glass," they said.